I took the plunge and decided to progress from making my own skirt to making a dress. As with most sewing projects I start they do not alway go to plan - is that just me as a novice dressmaker. 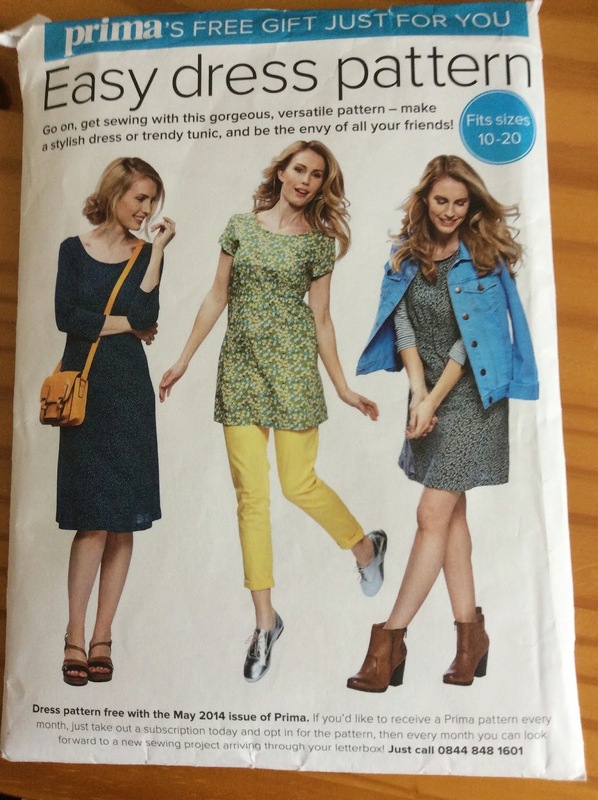 I started badly by not taking the time to pick a suitable dress pattern. Instead I went we a free pattern from Prima magazine, minus the magazine which I am sure must have included extra guidance inside. My choice was influenced by the design using elastic at the front of the dress, I thought this would help the fitting and my s shaped spine, because of my scoliosis. I had decided to make a mock up dress first, necklines and sleeves were all new to me. The pattern instructions were poor, googling confirmed this as other sewers encounter similar problems. The casing using the strip of elastic looked awful and was arkward to sew. 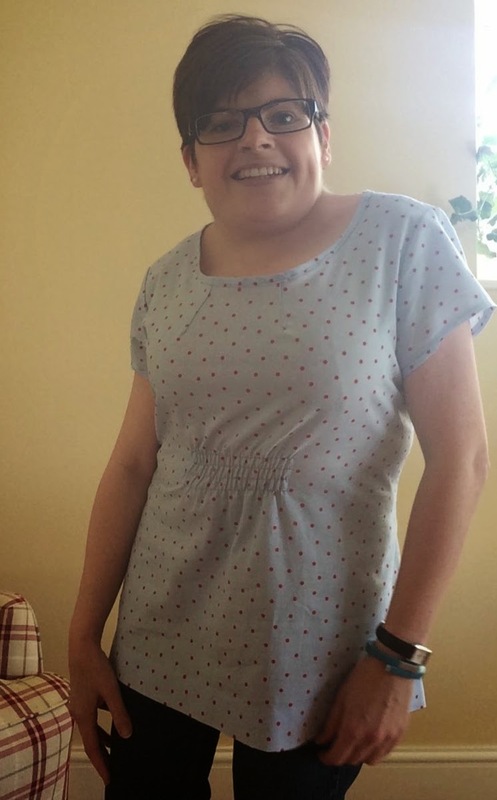 I had to fit the dress wearing the fabric the right side, because of my scoliosis I can not pin inside out, as all the adjustment would then be on the wrong side. Fortunely my sister helped with the tricky pinnning. Not perfect but it was just a mock up and I was now more comfortable I had the pattern peices adjusted correctly and confident with the sleeves, not so much the neckline. I even ventured to use fabric with polka dot pattern, an easy forgiving print to match up. I had to make my own bias binding for the neckline - tricky. I changed the elastic casing and used rows of sherring elastic instead, much easier and a neater finish. It took me three attempts, to sew the binding around the neckline neatly enough that I was happy with it. Oh and one more thing, I had a slight misjudgement with the hem line, so the dress quickly turned into a tunic. I am still wearing it though! *Apologies for the quality of the photograph not one of my better ones. Excellent job! The first one is the hardest. Well done! Glad to hear you match patterns, can't seem to find anyone on the high street that bothers with this and it annoys me!